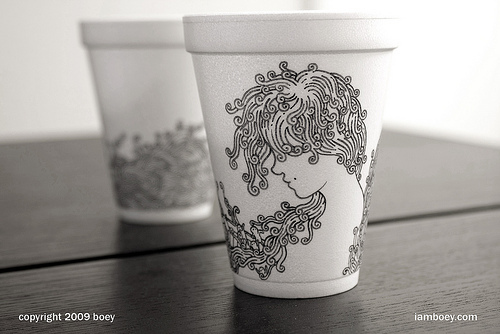 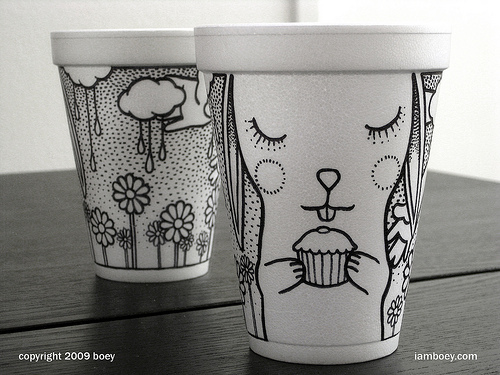 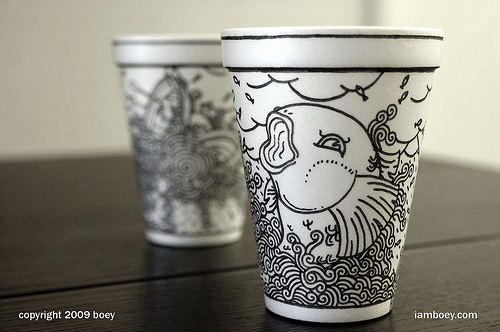 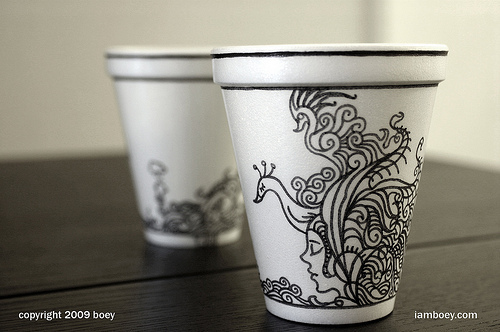 Boy Obsolete creates some crazy illustrations on styrofoam coffee cups, and even seems to be making some money from the results. 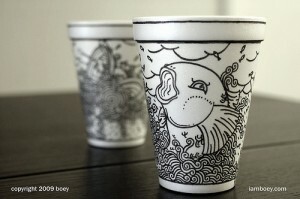 Have a gander at the bevy photos on his flickr page here. These are so great! Would love to see these in less disposable form. Yea, it’s too bad its styrofoam, but because it’s so pretty, I’d actually want to reuse those cups.